The Prime Minister, Minister of Economy, Finance and Budget, Daniel Kablan Duncan presided this Friday September 16, the opening of the round table to mobilize the resources to finance the National and Multisectoral Nutrition Plan 2016- 2020 (NMNP). At an overall cost of 266 billion FCFA of which 15% or 40 billion CFAF will be financed by the Ivorian government, the plan represent the 227 billion gap sought from the technical and financial partners as well as the private sector. Approved in May 11, 2016, the 2016-2020 NMNP, is a government response which aims to "guarantee the entire population optimal nutritional status, to improve its well-being and support a sustainable and inclusive growth and development ". 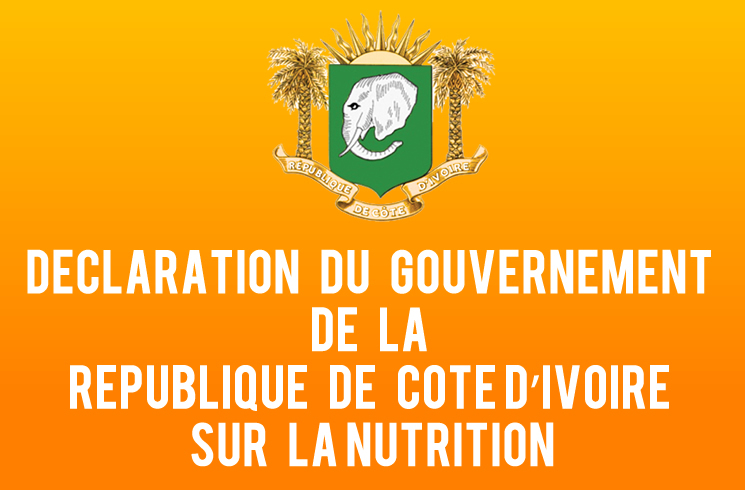 For the Prime Minister, this round table, in direct line with the actions to implement the Government’s commitment as part of the "Scaling Up Nutrition" Movement, in which it has subscribed, with the mobilisation of the necessary 226 billion CFAF gap to complete the financing of the 2016-2020 NMNP, the implementation of efficient nutrition actions, specific and sensitive towards the most vulnerable population with the involvement of many sectors such as health, agriculture, animal and fishery resources, social care, water, hygiene and sanitation. But beyond the resource mobilization, the State promises a better monitoring and "optimum" absorption of the resources, a mechanism to monitor the commitments and financial flows oriented toward nutrition, in accordance with the monitoring system of the NDP.